A brand’s voice and personality depend on the type of content used to craft that image. How you decide to manage that content is intimately involved in every step of the purchase decision-making process. It is the most stable mechanism for a brand promotion. Customer engagement, which is a strong predictor of company growth and brand loyalty, is built by providing value to the consumer. This action is most often achieved through value, usually achieved through useful content. “Emotional engagement is far more important to consumers than promotional content,” thus making the quality of the content the main factor in its success. A reputation…is it owned or earned? While everyone recognizes the role of content in owned and earned media, it’s harder to determine if the content has a place in paid media or if paid media is rendering content useless. Owned, earned, and paid media sources are almost always used together in unison. They’re used to build off each other, but they have key differences worth elaborating. Owned Media refers to all channels that a company manages and curates, like websites, blogs, and social media. Its main strength is the control it gives a company over their brand image. Its main weakness is its limited reach—though 89% of marketers are using social media around 16% of Facebook fans see the brand’s content on their newsfeed. Earned Media includes all mentions of a brand on third-party channels. Sometimes referred to as organic advertising, search engine optimization and mobile app store optimization. It is the shared, the reviewed and the viral. Its main weakness, that of having no control over what is being said when, is counteracted by its main strength, the power of word-of-mouth to influence people’s decisions. The skepticism people have when viewing ads is equivalent to the trust that comes from another person’s recommendation. Paid Media is comprised of all of the advertisements that you have paid. These include Adwords, sponsorships, and content written by others for a fee. Many times, this can appear as sponsored items, appearing in a news channel feed. Another name is “native advertising”. It is expensive, yet, far-reaching. This is a highly targetable resource. While many have frowned upon it, paid media is important to a marketing campaign because, without it, your best content might remain hidden. It is not a replacement for “true content”, but it is a valuable tool in taking owned media and pushing it to possibly blurring the line toward earned media. Competition online has made it hard to sift through information on the basis of interest alone and paid media allows one to place an ad before eyes who are searching for it. At the core of all three strategies lies content. It is content that draws people to your website. It is content that makes people want to talk about your brand and share it with their friends. And it is content that keeps people engaging with ads even when they’re savvy enough to recognize and avoid them. Paid media will reach an audience, but it will rarely keep them watching more than they have to. An excellent user interface (UI) and user experience (UX) is necessary in today’s interconnected world. 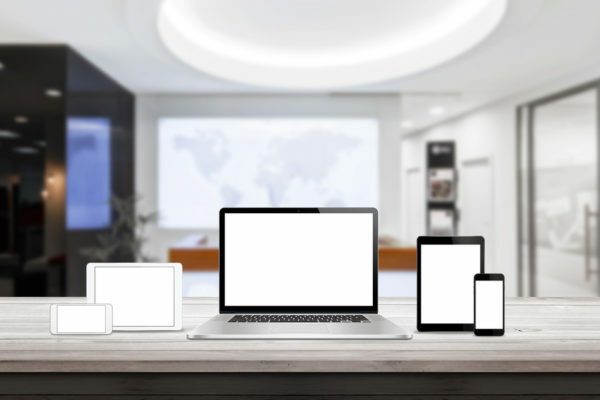 In our lives, it’s common for users to use multiple smart devices in multiple environments. As users move between devices, it makes sense to transfer a user’s UX across those platforms. An example of this type of event may start by watching a Netflix movie on your living room television. After a while, you get up and continue watching that film on a laptop in the garage while you work on the lawnmower. That singular experience is maintained through different environments and platforms. The key is providing a seamless UX within a user’s network. Each device becomes an extension of that network; each is a compliment for the other devices in that network. A complementary user experience allows for mobile applications and experiences to intermingle across these platforms. The true essence of the event is found in the experience, not the network. Mobile gaming apps are another type of application that can benefit from complementary designs. SMHK Funklab’s game Padracer uses an iPhone as a steering wheel and an iPad as a racetrack. Extra iPads can be added to the game as well. The creativity behind Padracer led to its success as one of the first mobile games with a complementary design. There are two main types of complementary designs: collaboration and control. In a collaborative design, two different devices have different functions. Padracer falls into this category. Control designs allow for one device to remotely control the other which typically serves the main function. An example of this would be using your smartphone to switch the song playing off Spotify from your laptop. Devices in the complementary ecosystem can also fall into two categories: must-have or nice-to-have. A must-have device is required for the app to function. In the case of Padracer, an iPad and iPhone are must-have devices that are necessary to use the app. Additional iPads add to the experience but aren’t required. These extra devices fall under the nice-to-have category. A complementary design can unlock endless options for a business to provide an enriched experience for app users. More and more companies are discovering how a complementary UI/UX can lead to company growth. A study by AppDynamics discovered that 65% of people have very high expectations for app performance. Additionally, 30% of customers would spend more money on a company with a good app. 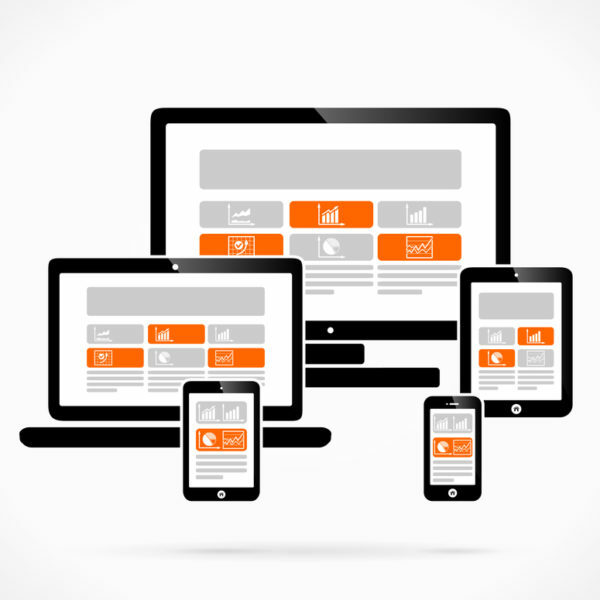 If your business uses a mobile app, consider how multiscreen compatibility could boost your user experience. Thanks to the cell phone, our world has become mobile and immediate; information is always ready at hand. An individual’s entire life can fit into their palm or pocket. That phone might be either Android or iOS based, the two dominant mobile platforms. Developing your mobile app for both platforms is critical in today’s marketplace. It has become progressively important for companies and businesses to have a heavy mobile presence since smartphones and tablets have captured a dominant share of the market. Mobile application development, a pathway to marketing and branding, includes the need to create applications that run on various mobile platforms. A mobile platform is simply an operating system. Developers create applications that are targeted at specific audiences. Often, cross-sections of these audiences disperse between various mobile operating systems. The need to ‘skip’ across various platforms provides the companies the ability to reach different audiences with one application, regardless of the platform. Cross-platform services save time, money and allow code to be easily shared between different platforms. It provides a greater reach to users. With many solutions, often come with both pros and cons. Mobile development is no different. Deploy your app to various platforms reaching a greater audience. Saves time. Allows developers to write code in one language. Reduces development costs. This allows companies to save money by not investing in one team specific to that platform. Simple for developers. The frameworks to create cross-platform applications are designed for scripting languages which allow for a smooth transition to the mobile device. Technology does not include all features of all mobile devices and operating systems. App developers are continuously updating the apps whenever companies add new features. The framework will need to be updated to support the new additions. Tools are restrictive. Designing an app compatible with cross-platform frameworks can challenge developers, prohibiting them from using their own development tools and suites. Code inefficiency. The inability to work on every platform’s native language. When the translation engine become ineffective, the coding efficiency decreases. Slower code and process. Due to the cross-compilation process, the code writing runtime may slow down. As with any development process, there are benefits and liabilities associated with using a cross-platform application development system. Cross-platform tools are not a universal solution. Having a development team with a working knowledge of the development environment is critical. Contact Colure’s development team to help integrate your mobile applications with your existing systems, fitting your specific needs. Every hour of every day, social media allows people to consistently create and share information. This constant interaction has driven companies to fully embrace social media as a vital marketing tool. It aids them in displaying their products; manufacturers connect with their returning and future customers. With over 2.3 billion active social media users, a company’s robust, social media presence will continue to solidify the company’s earnings. Social media marketing (SMM) allows companies to market their brand on social media sites to increase traffic to their websites and stores. The goal of social media marketing is to raise brand awareness on a platform that the customer uses daily. By displaying ads on a site, home screens, or creating a company page with updates, customers are repeatedly exposed to the company profile and products. If the customer likes what the company has to offer, the customer is likely to share videos, images, ads, and articles about the enterprise. 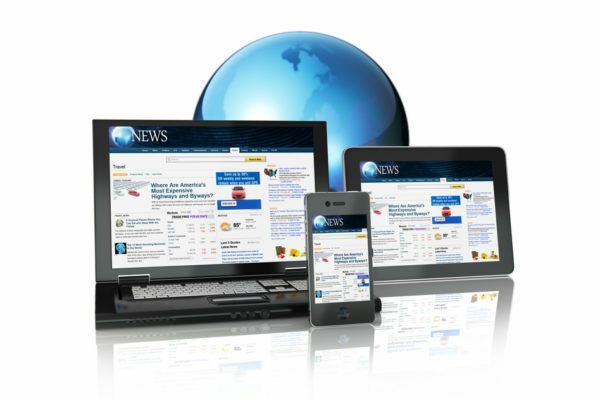 This media span reaches potential clients who have not seen the brand’s web presence. SMM allows companies to increase their brand recognition and draw in, as well as retain, customers. Shoe manufacturer TOMS saw a huge boost in their brand recognition with their #withoutshoes campaign on Instagram. In 2015, Toms designated one day a year as “One Day Without Shoes Day.” Each year on that designated day, the company asks users to post one barefoot photo on Instagram with the hashtag #withoutshoes. For each post, one pair of shoes is donated by TOMS to a child in need. Not only did the campaign rapidly spread, but TOMS also established itself as a socially conscious driven brand. This type of savvy promotion allows customers to feel that their photo contribution and any purchase of TOMS shoes will add to a larger, positive impact on the company. Camera manufacturer GoPro frequently uses their Instagram account to show the quality of their product. GoPro extensively uses user-generated content for its Instagram page. Besides their company photos, GoPro encourages users to send in pictures of their best shots with their GoPros. This type of social media marketing not only promotes their product but helps customers to consistently use their GoPros and send in their photos with hopes of being featured on the account. The prominence of social media in society has created a strong personalized sense of marketing. The life-blood of social media is built upon allowing people to create and share information with others. 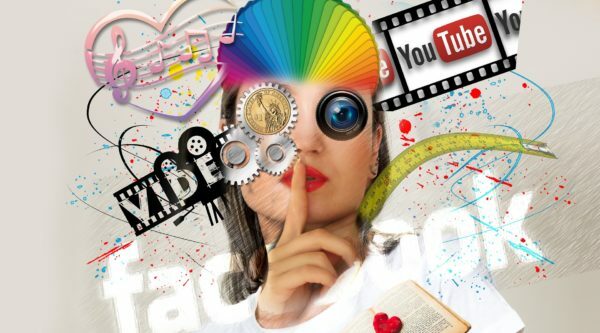 By marketing brands through ideas, social media allows people to be exposed to products they may not find elsewhere. This type of industry is not bound by a geographical location nor an allotted time slot; it is readily available. 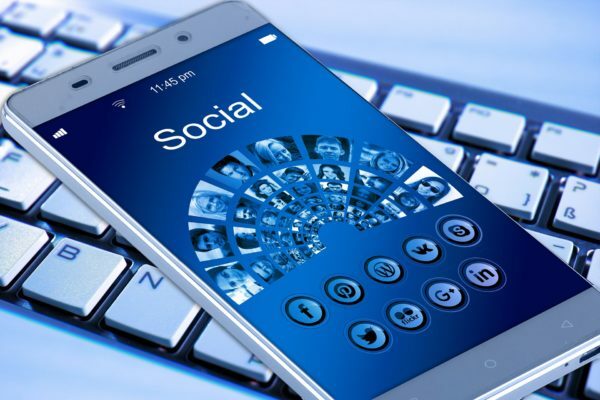 Whether the appeal comes from an ad, company page, or a friend’s referral, social media marketing is essential in staying relevant in peoples’ lives. There is probably no greater assurance in life than that of human testimony. Seeing someone provide support for a product or service may be all you need to make a final purchase decision. If you take a look around, user-generated content is everywhere. Content created by actual consumers is becoming the go-to method to increase customer loyalty. The first-person narrative is quickly becoming a primary marketing channel. This technique, coupled with the growth and effectiveness of social media interaction, is a deadly combination. This method gives businesses the ability to pass the brand-building responsibilities to the consumer. The purchase cycle begins with the customer and ends with another client. Why create external content when original user-generated content is available? This new advantage leans on the customer’s interest to hear more views of people who were once in their position. The direction selected by those and have had a positive outcome with a particular product or service. 86% of millennials say that user-generated content is a good indication of the quality of a brand. Let’s help each other and share the experience. If you need guidance to cross that bridge from one customer to the next, contact our Development Team.